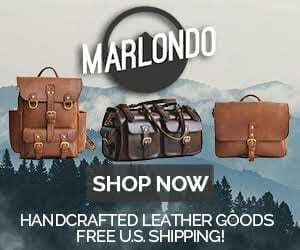 I’ve recently been shopping among small-time leathermakers, in search of something more unique, with a customized feel. I found a Handmade Leather Belt from Les Cuirs Peussou. This belt traveled so far in transit that I don’t actually know how to pronounce the shop’s name. Luckily, I’m a writer. “I hope the description would be clear and apologize on my non perfect English (this is not my mother tongue). “I do my best selecting the highest quality of leather from local tanneries. I would like to develop a brand which purpose is an original way of thinking in leather products, particularly in the colors. I spend lots of time to create my own tones from basic primary colors (blue, yellow, and red). 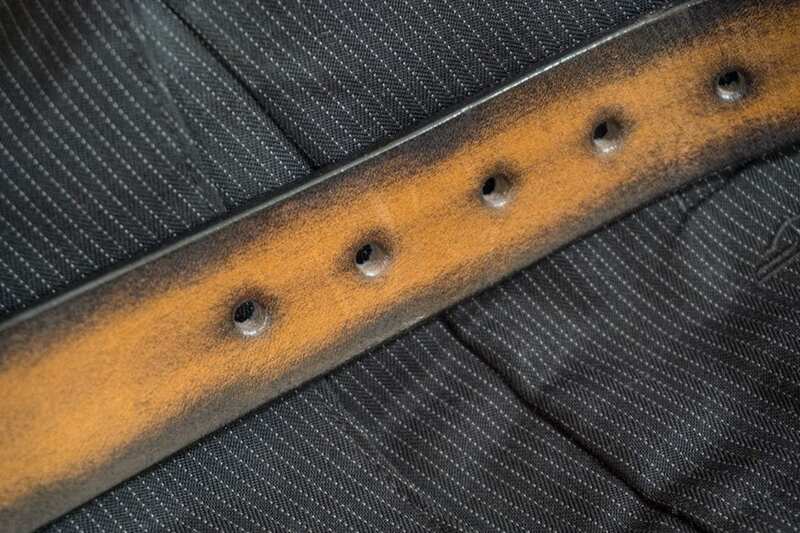 The leather for this belt comes from the Gal tannery in Bellac, France, which has a reputation for quality leather, and from what I’ve seen this belt lives up to that. It’s sliced from top-grain leather, polished to a smooth finish. The leather wraps back on itself to fasten the buckle, and this segment is hand-punched and saddle-stitched (two needles go through each hole in opposite directions for added strength). This gives the finished product a slight variance or ruggedness that adds to the visual appeal, a detail that requires a close look to really appreciate. The leather is finished first with bee’s wax and then with Remi’s homemade leather polish. The leather feels smooth to the touch (despite the visual texture). The back of the belt has a suede finish which is soft. 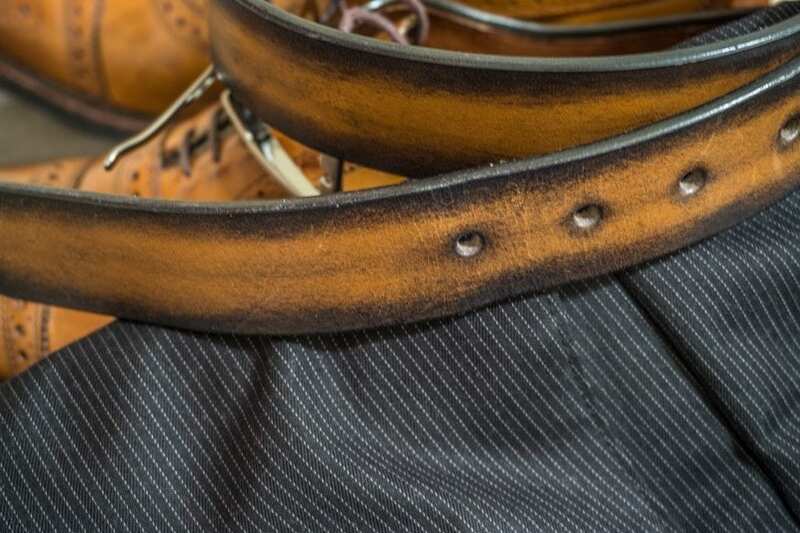 Although this doesn’t show when worn, it makes the belt seem more formal to the wearer. I don’t have a lot more to say about the functionality. It kept my pants up. I did actually test the durability by hanging my body weight from the belt. The leather and the buckle held up just fine under my 180 lbs. There was no creasing or bending. So it’s durable. The leather is vegetable tanned, which makes it adaptable for dying. On the style I selected, Remi created a black texture that creeps inward onto the brown and looks really cool. It feels stylish in a rugged kind of way. And the contrasting colors make it fit nicely with a variety of outfits. This belt is standard in its functionality. What’s unique about it is that it’s handmade by a French craftsman. 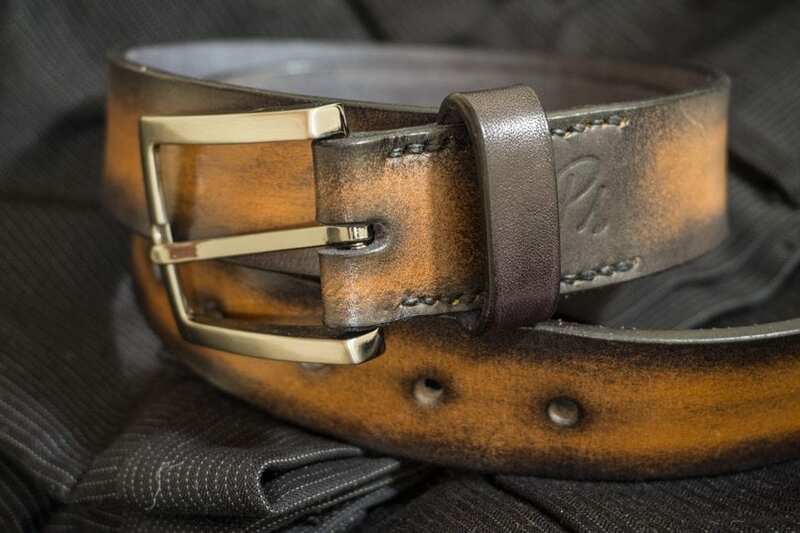 It also takes a classic style and blends the hues, giving the belt an uncommon fashion advantage. 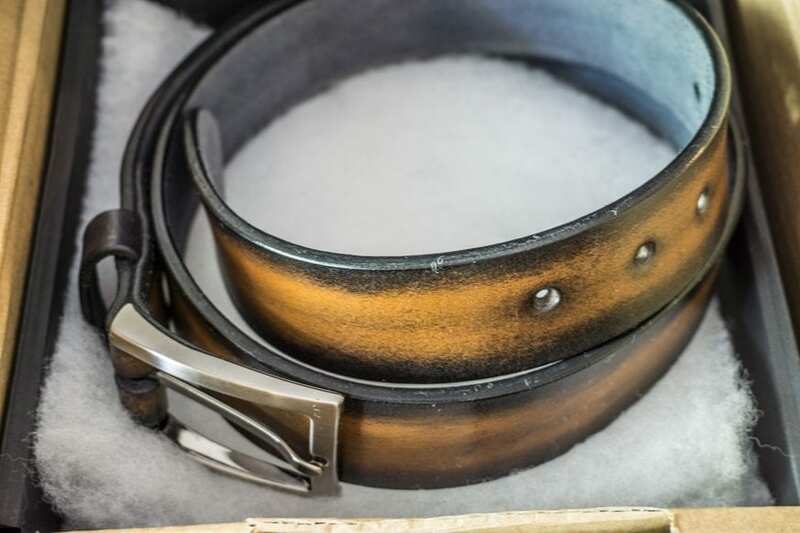 If you’re looking for a unique accoutrement to give some dash to your wardrobe, take a look at Les Cuirs Peussou’s Handmade Leather Belt.